I'm exhausted. The fam just rolled back in from three action-packed days in Vermont, staying in a really-cool treehouse (you'll see video soon-ish), and having just arrived home about two or so hours ago, I thought I'd share two quick photos with you (and them collapse into a coma). This home lies somewhere between Lincoln, VT (where we stayed) and Middlebury, VT (where we went for a day trip). BOTH of those towns are very picturesque in a Norman Rockwell way (more on that later)- but this house...eh....not so much. 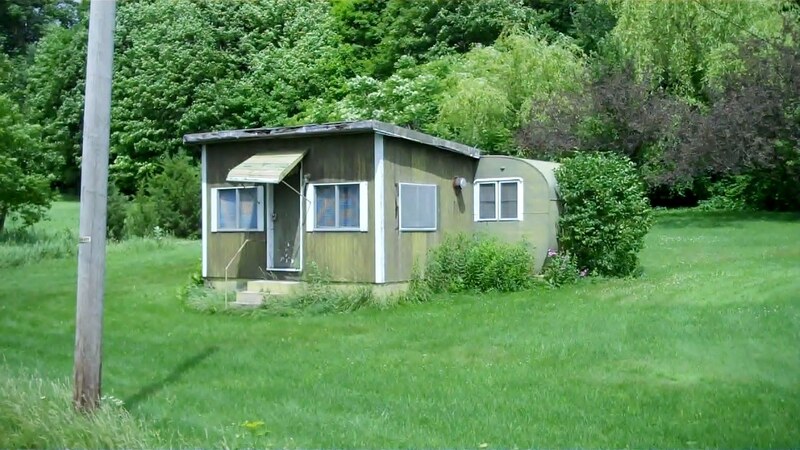 I do love this though; its a mix of Yankee ingenuity, redneck thrift, and just not givin' a damn about what the neighbors think (which I also respect- depending on the neighbors). 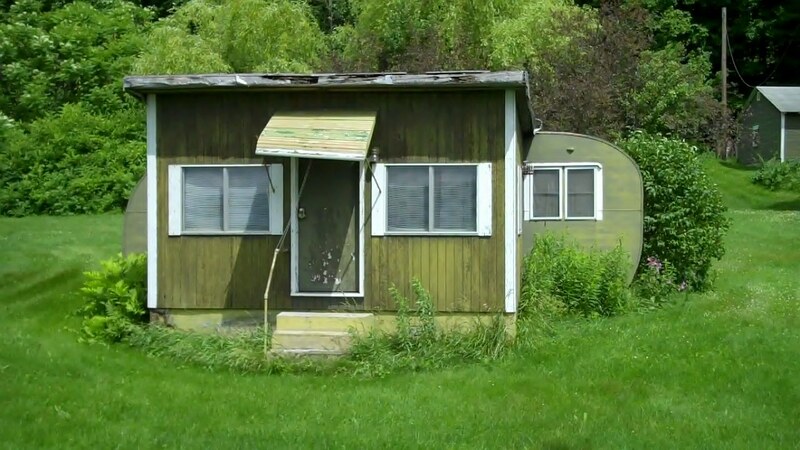 If painted and fixed up, it wouldn't be all that bad of a lil' house actually. 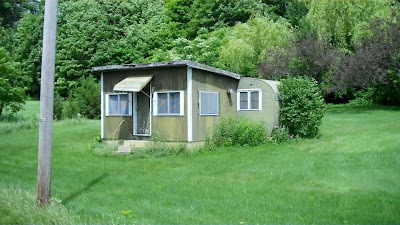 I've seen a few of these too (only in VT)- homes fused to old camper-trailers. Why not? ?